With revenue in 2014 of 7.40 billion USD, STMicroelectronics is one of the world's largest semiconductor companies, 21 percent of which is spent on research and development. Led by President and CEO, Carlo Bozotti, the company has over 43,600 employees, with around 8,700 driving innovation in Research and Development. 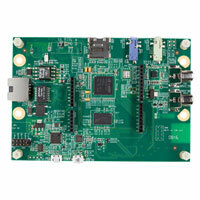 Headquartered in Geneva, Switzerland (EMEA), Coppell, Texas (Americas), Shanghai, China, and Tokyo, Japan, STMicroelectronics has a global presence. This includes sales global sales offices, 11 manufacturing sites and centres of advanced research and development in 10 countries. Formed in 1987 from a merger of SGS Microelettronica (Italy) and Thomson Semiconducteurs (France) the company was formerly known as SGS-THOMSON Microelectronics until it was renamed as STMicroelectronics in May 1998. Committed to innovation and technology for over 25 years STMicroelectronics has a broad portfolio of products falling into three key areas, sense and power, embedded processing solutions and automotive. 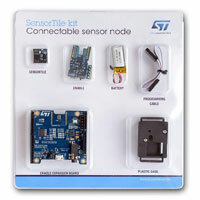 STM32 ultra low power ARM-based Cortex-M0, M0+, M3, M4 series microcontrollers and from June 2015 the world's first Cortex-M7 series of microcontrollers. 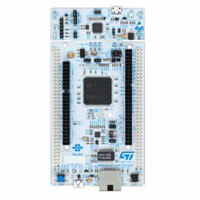 STMicroelectronics and RS Components offer a broad range of innovative and reliable products for industrial applications and new technologies available from stock with next day delivery. • Android and iOS App.